Residents concept, this time in a new venue! Back by popular demand is Pat Bedeau. The Bedfunk head honcho will be bringing his usual soulful & funky flavours to keep your feet moving on the dance floor. We also welcome back Carlossal Small, a regular raver and true house head. With recent releases on Dusty Grooves we are buzzing to get him back behind the decks. 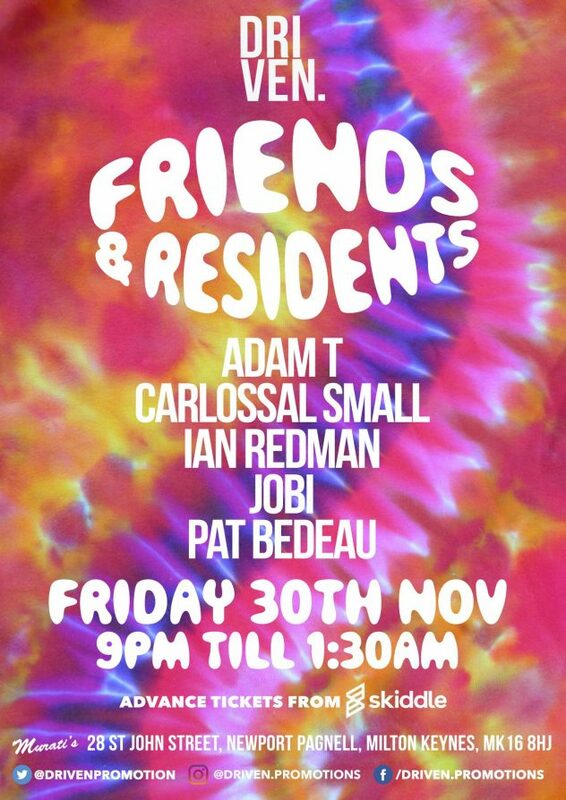 Residents Adam T, Ian Redman & Jobi will be bringing the vibes as always. driven, driven friends & residents, house, soulful house, Tech-house. Bookmark.